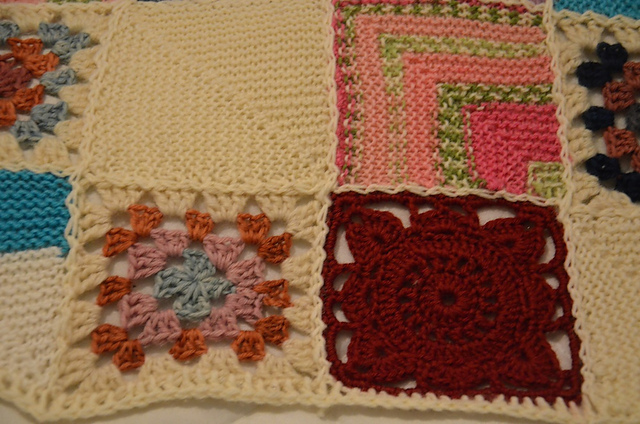 ...as in we made a fourth baby patchwork blanket for a colleague who's having a baby. While the last one was a celebration of colours, we tried to make this one a little bit more calm and simple. Those who wanted to take part made at least 5 patches using leftovers from their own stashes. 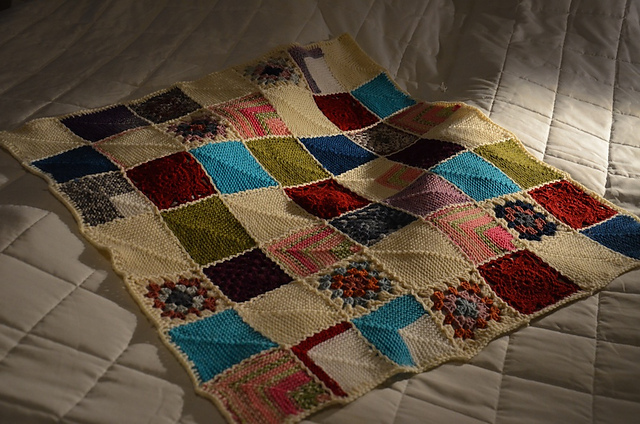 I'm always so amazed at how nice these patchwork blankets turn out in the end, even though we don't plan them too much in advance. This one might be a little bit too white in my taste, but I hope the soon-to-be-mom is happy with it. 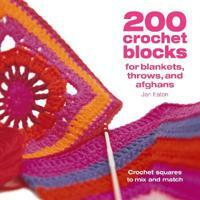 I also happened to stumble over a new book: 200 crochet blocks by Jan Eaton. Just couldn't resist it after being so inspired by all these cute blankets. Am I becoming a crazy patchwork lady? Probably not. But at least I won't get bored doing the same kind of patches over and over again. And yes, taking photos at this time of the year is a real nightmare! Sun, where are you?! adorable! looks really great, despite (or because?) of the various types of patches... love it!